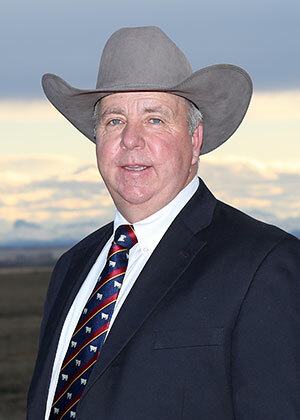 The Canadian Charolais Association is pleased to announce Craig Scott has been named the new General Manager of the Canadian Charolais Association. Starting May 15th, Craig will oversee the day-to-day operations of the Association. Craig brings over 20 years of experience in the Charolais industry to the CCA, after having been a Fieldman and partner in the Charolais Banner for the past 20 years,working with Charolais breeders and marketing the breed. Craig was also a livestock photographer and partner with GRP Ltd. for the past 12 years. He has served on numerous industry committees, including the CCA Ad and Promo Committee, and actively volunteers in many community events and organizations. Please join us in welcoming Lori Connolly to the Canadian Charolais family! Lori started with the Association in November and comes to us with an extensive background in administration, human resources and payroll with some experience in agriculture. Lori will be helping out where required and working closely with Sally on registries. Lori is a people person and is excited to get to know our members! A variety of shirts, jackets, and hats with a wide range of sizes and prices are now available for purchase. Maybe you need 4-H Award gifts, Christmas presents or Thank You gifts for your Bull and Female buyers? Care to customise? MARCC Apparel is there to help! Click on the above link to explore the swag! Since our creation in 1959, the Canadian Charolais Association has served as one of Canada’s major beef breed associations. Based in Calgary, we continually strive to provide our members with up-to-date industry information. The benefits of using Charolais cattle are obvious – cattlemen simply can’t deny their growth and carcass traits. Over the years, Charolais cattle have earned the reputation of producing cows who can handle a range of environmental conditions and bulls who increase the size and ruggedness of any herd. On the rail, Charolais genetics increase total red meat yield. Whether you’re a producer looking for Charolais genetics, a member looking to further your involvement in the CCA, or an established breeder looking for producer news, we’re here to help. 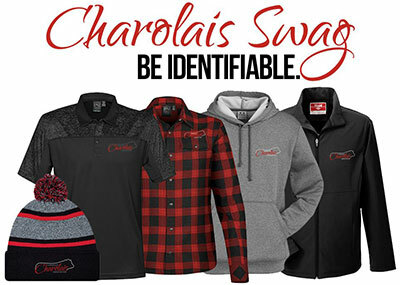 Contact us for more information on how you can get involved with the Canadian Charolais Association.